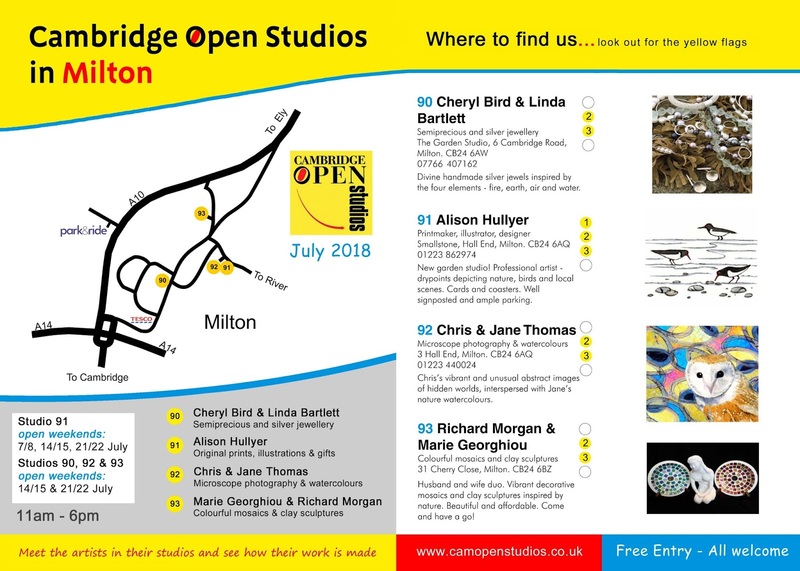 There are also four other studios open in the village this year. 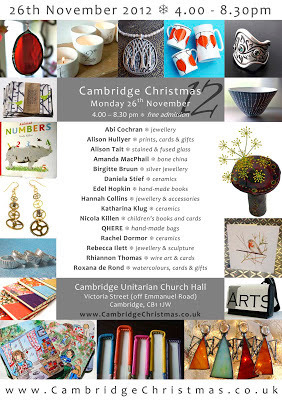 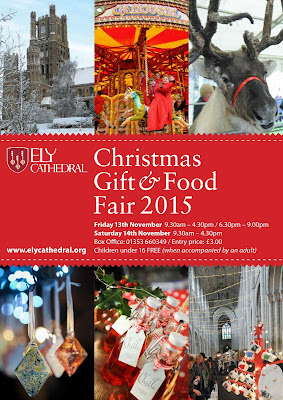 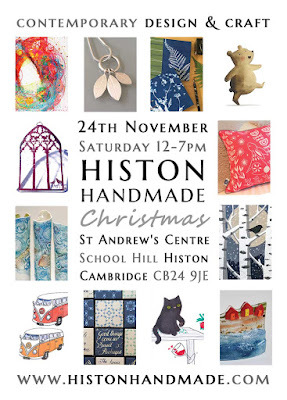 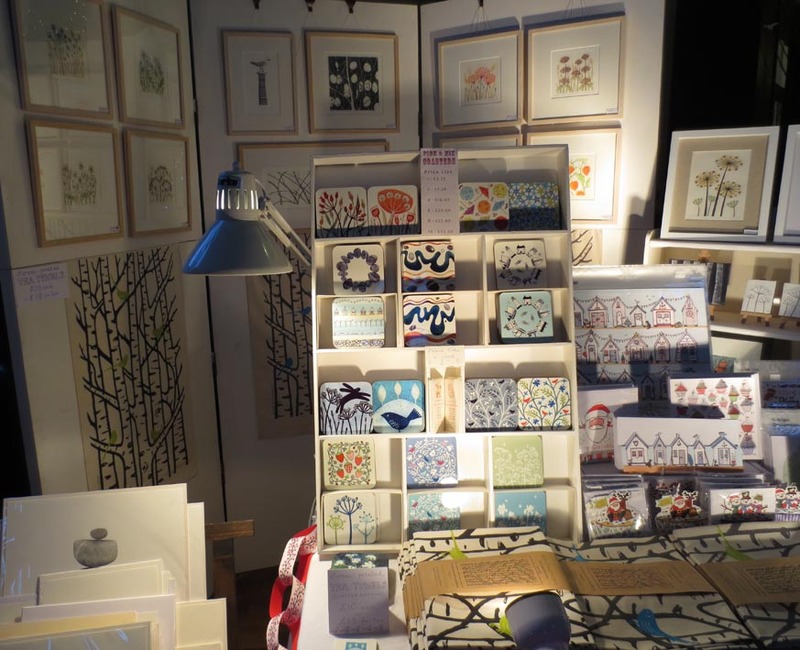 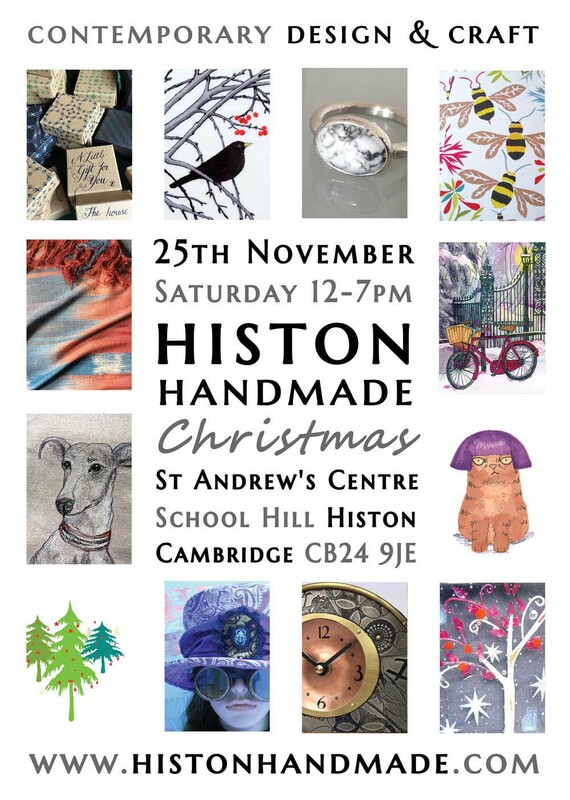 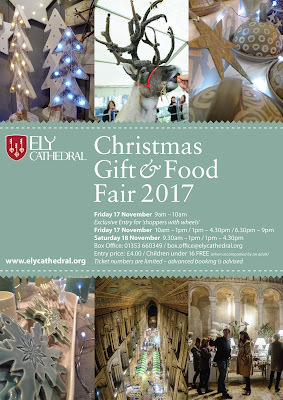 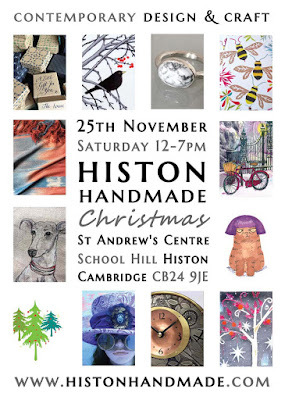 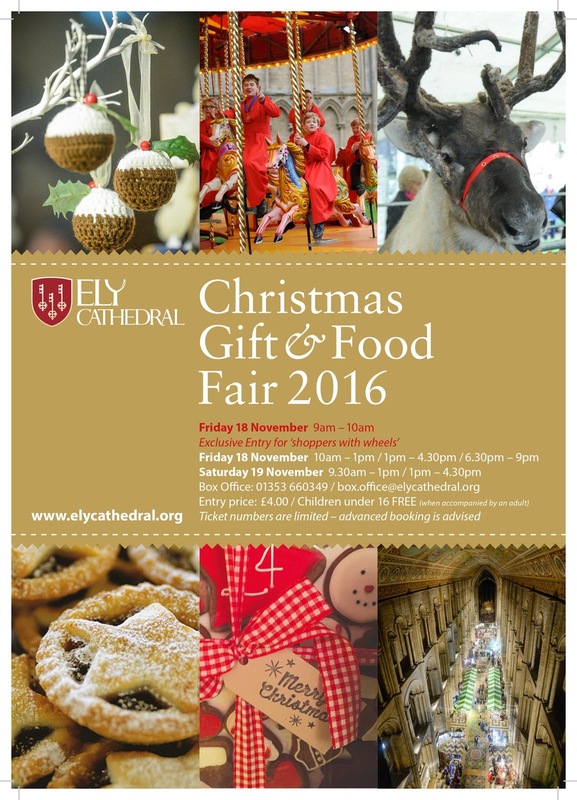 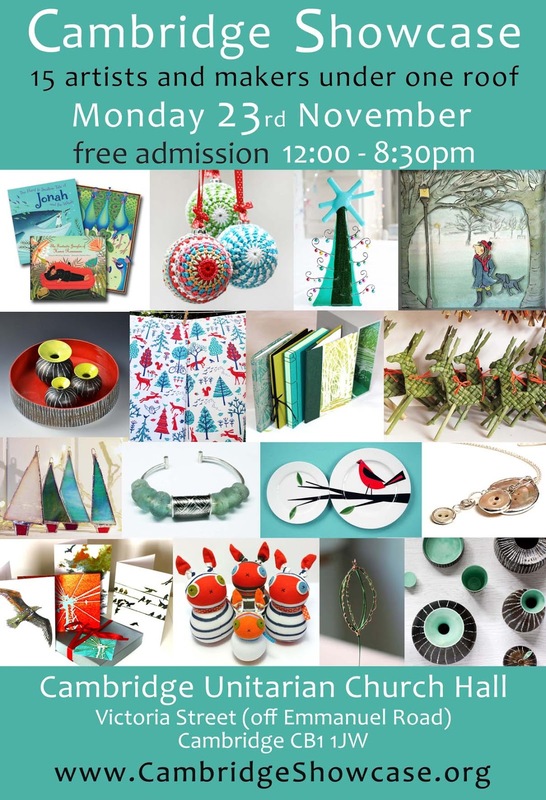 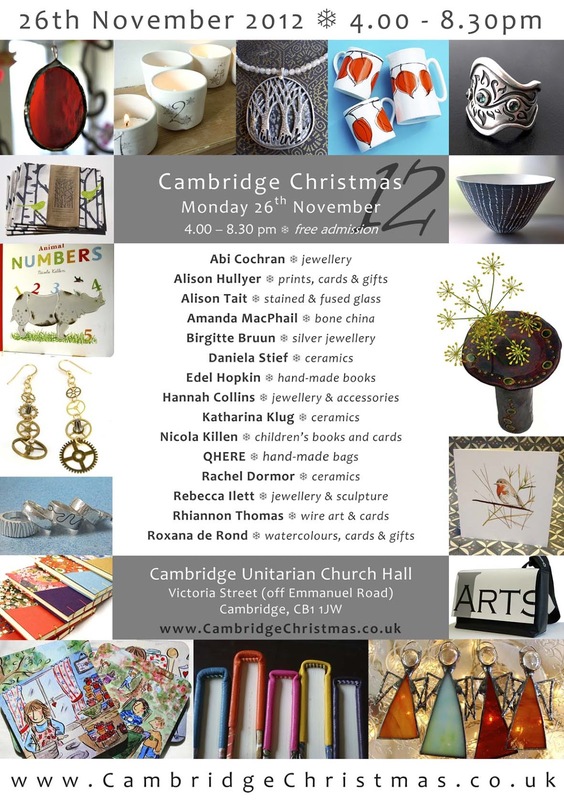 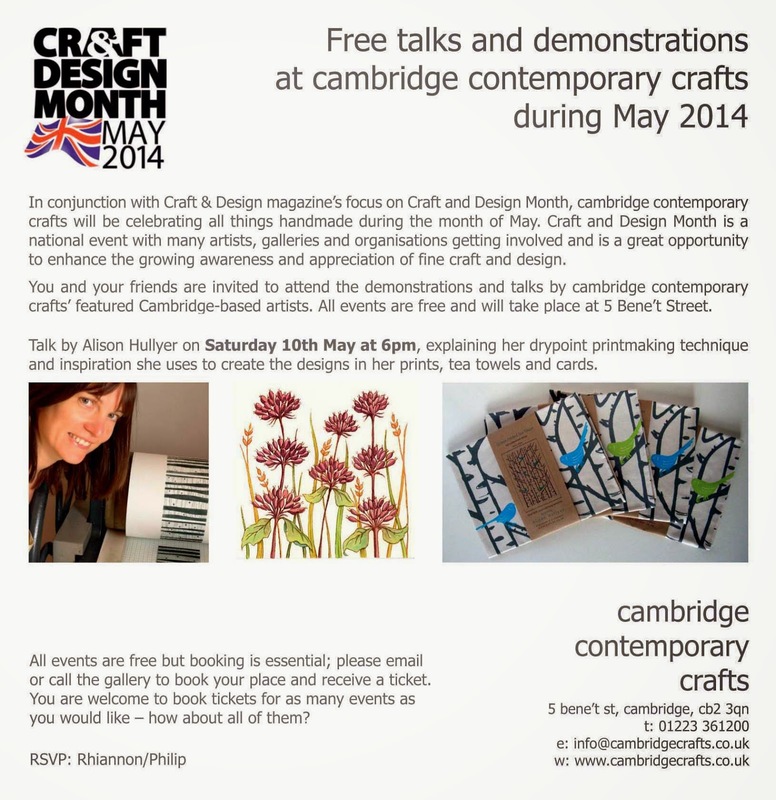 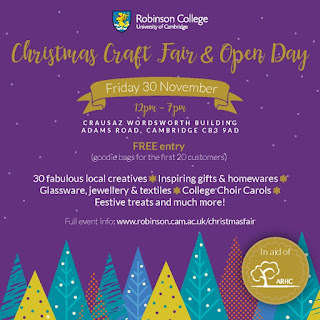 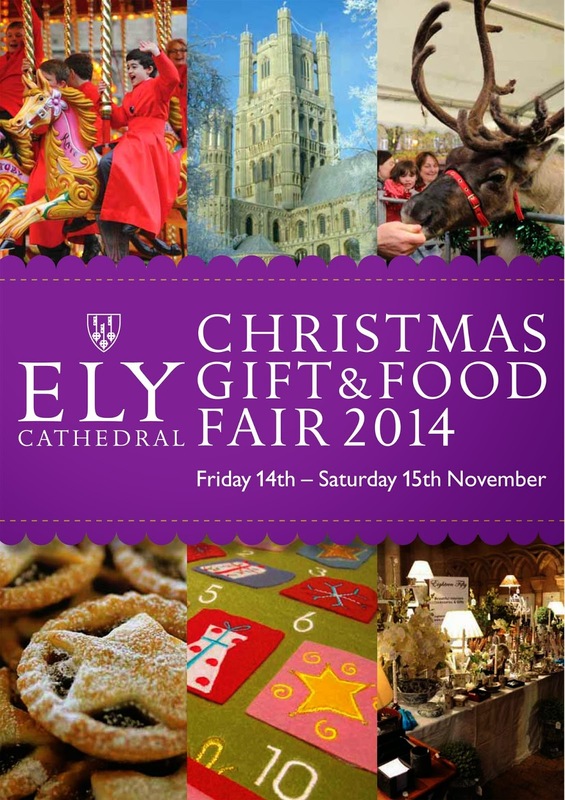 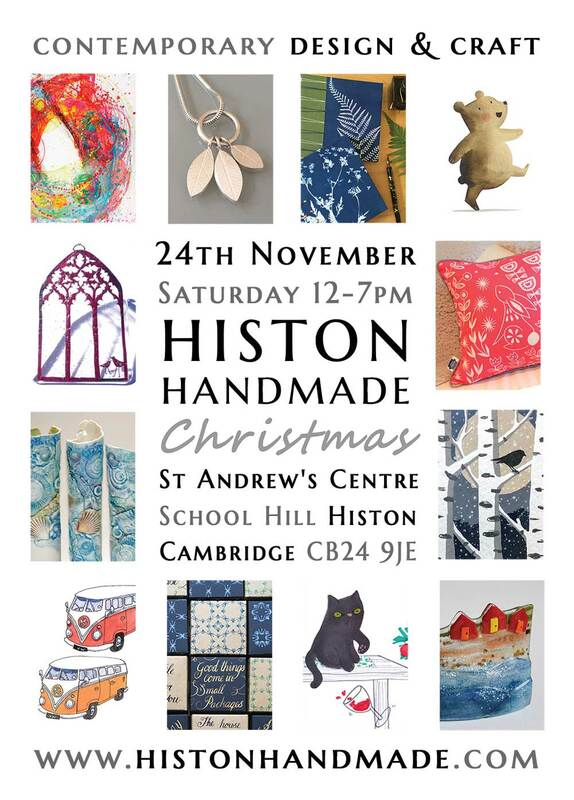 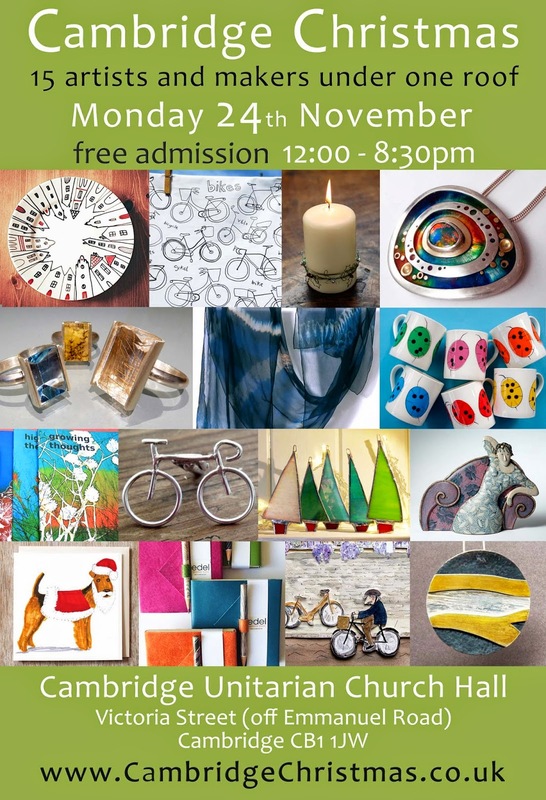 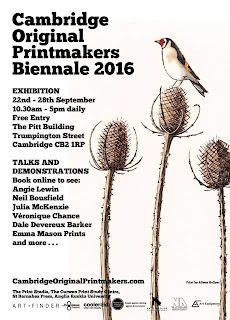 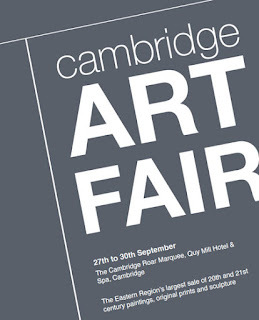 Contemporary Design and Craft Fair featuring 15 artists and designer/makers. 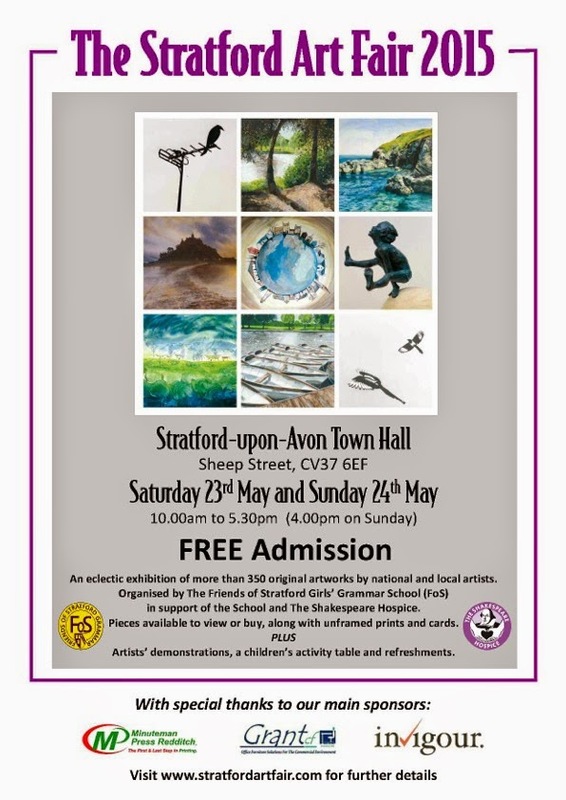 I will had four pictures at this show in May and sold two. 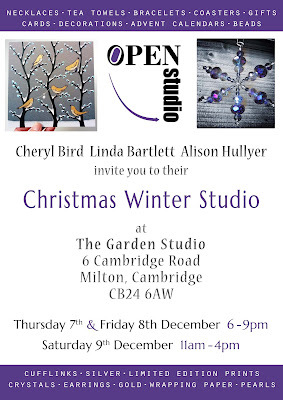 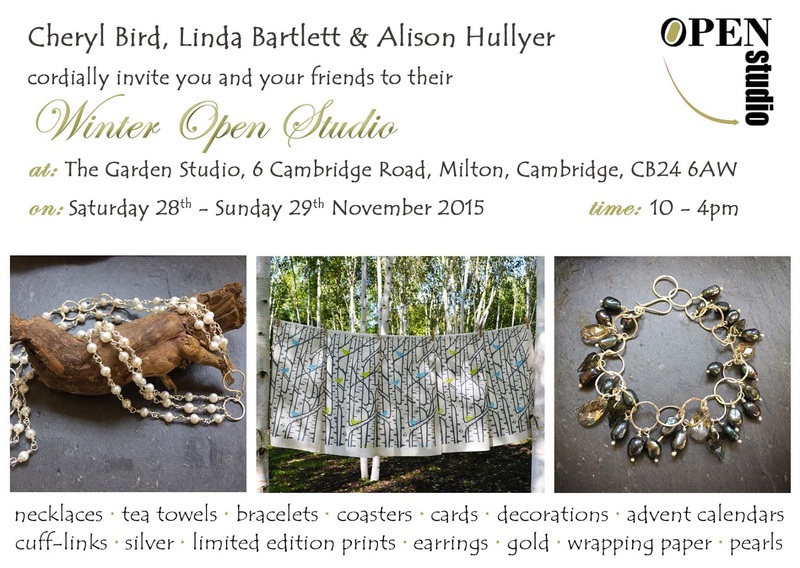 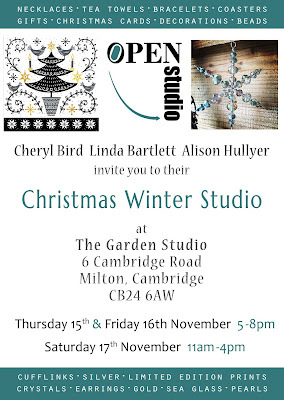 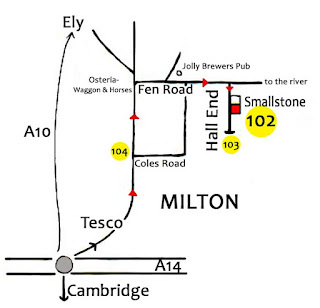 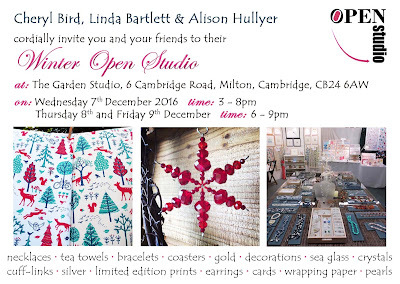 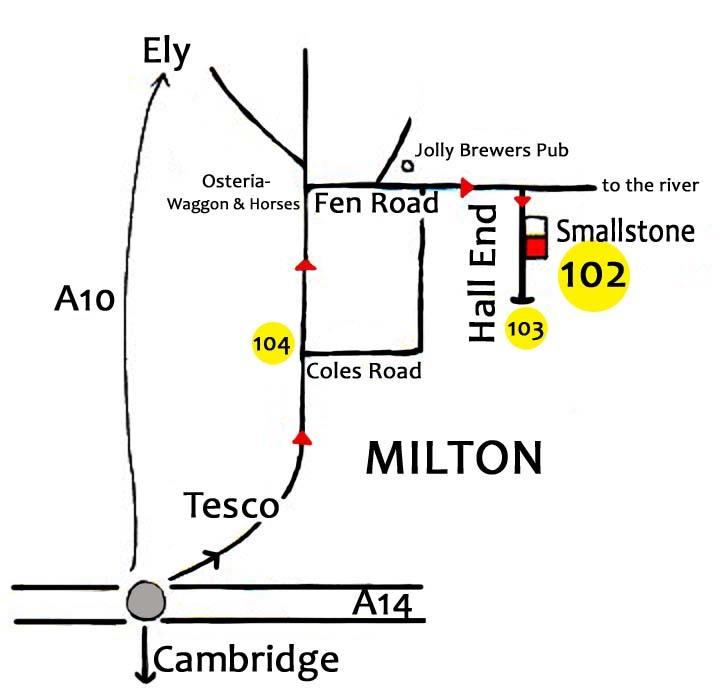 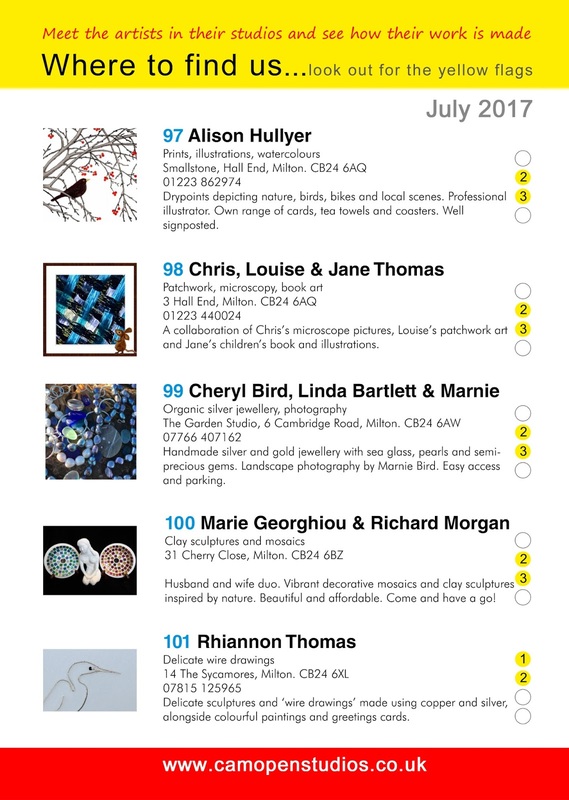 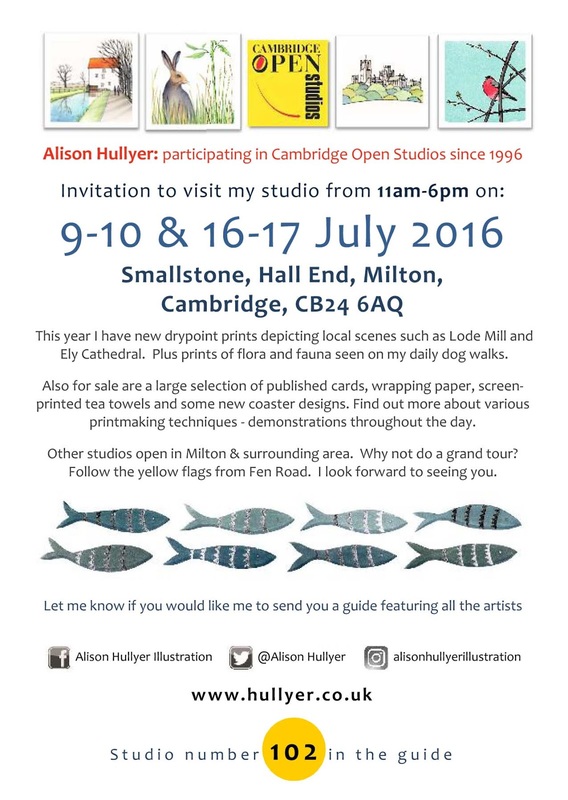 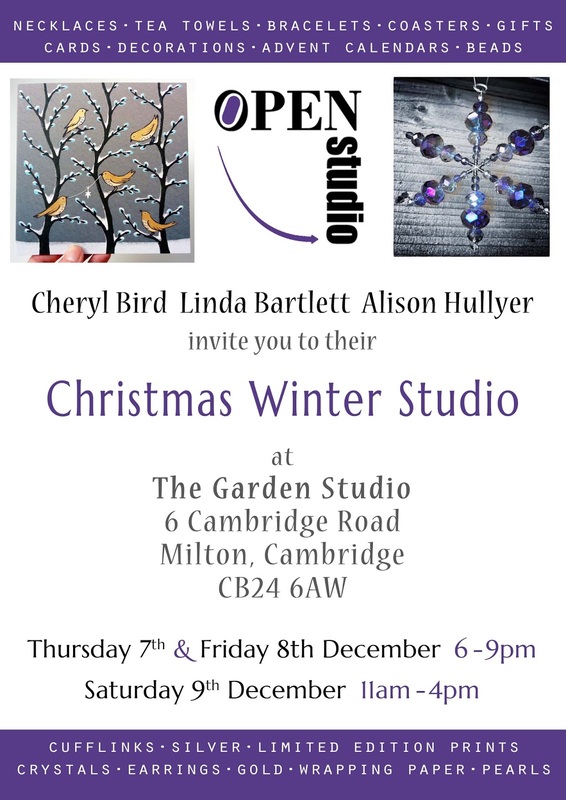 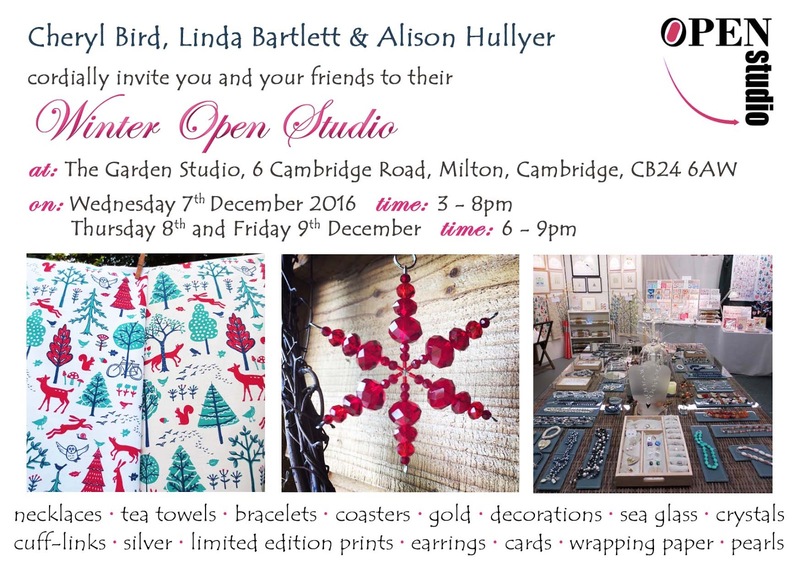 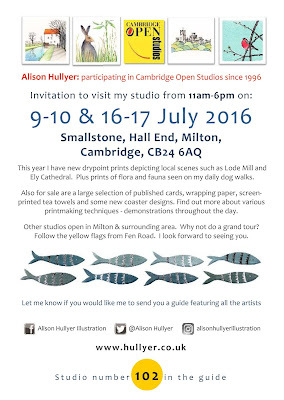 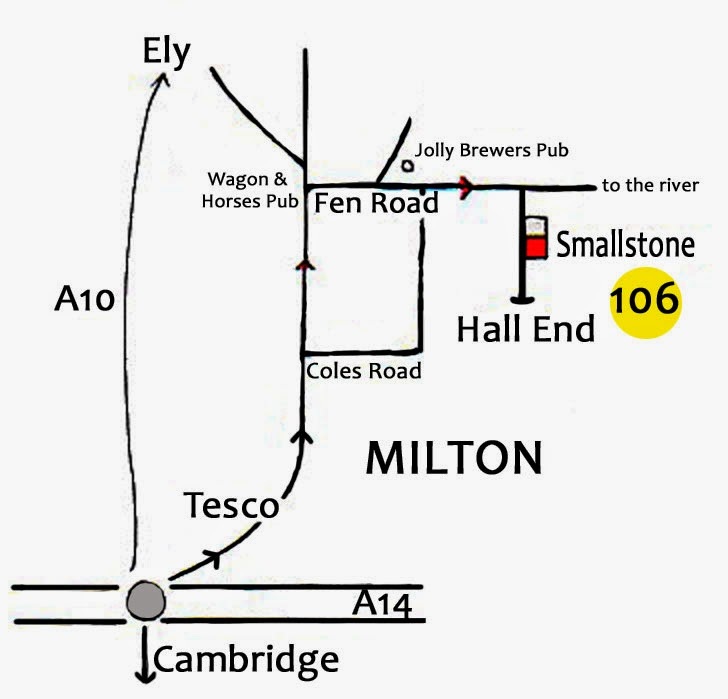 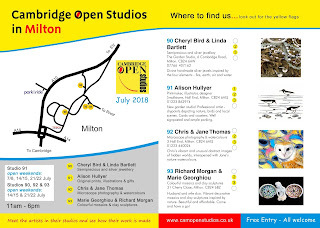 My studio in Milton is open to the public for two weekends every year in July, as part of Cambridge Open Studios. 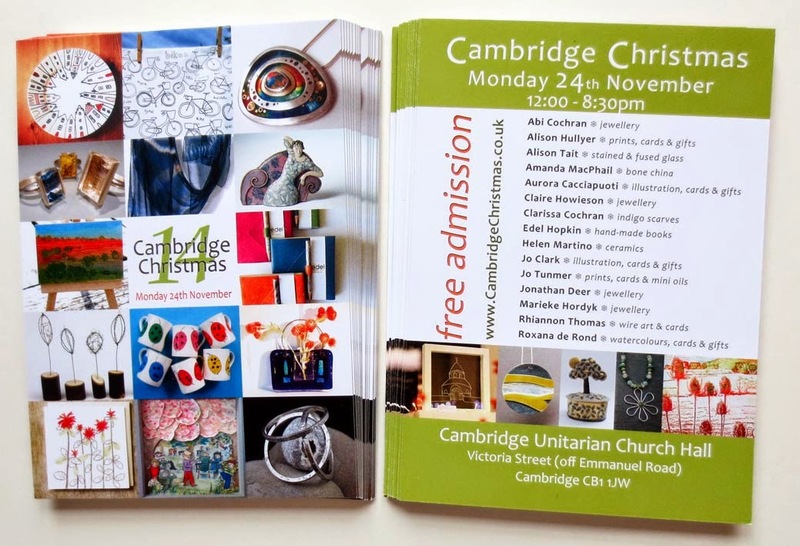 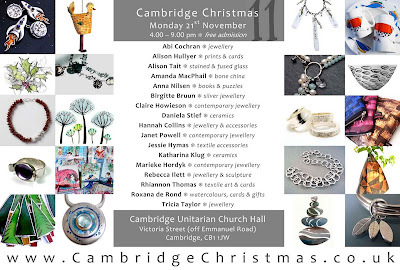 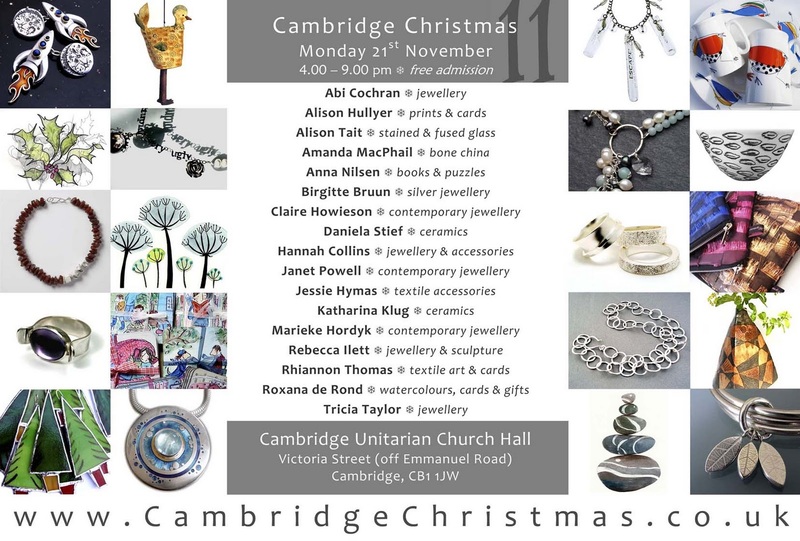 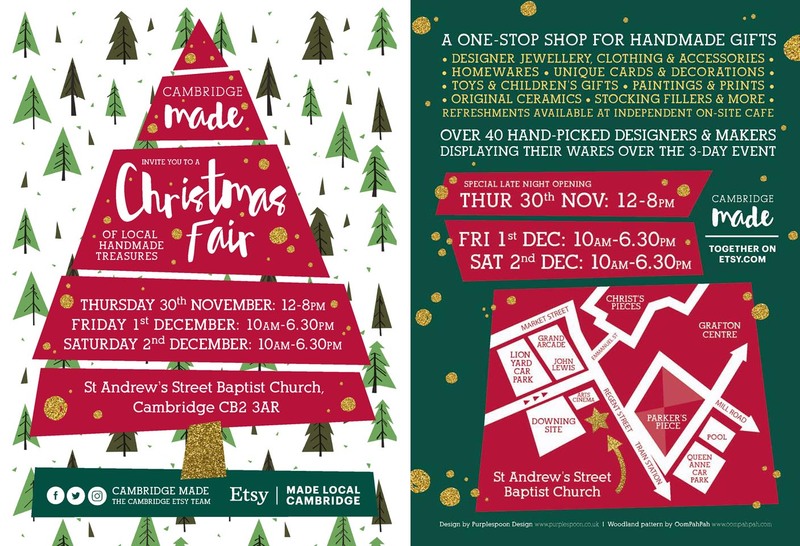 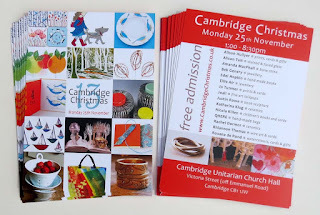 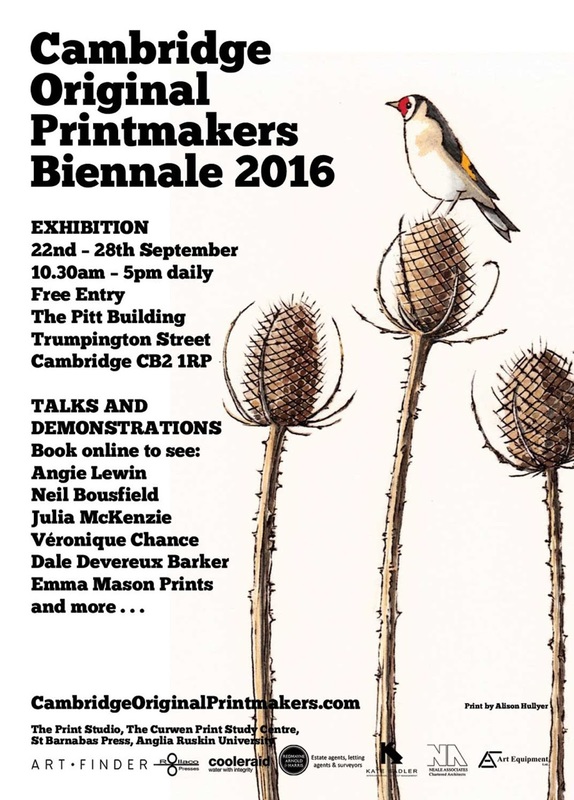 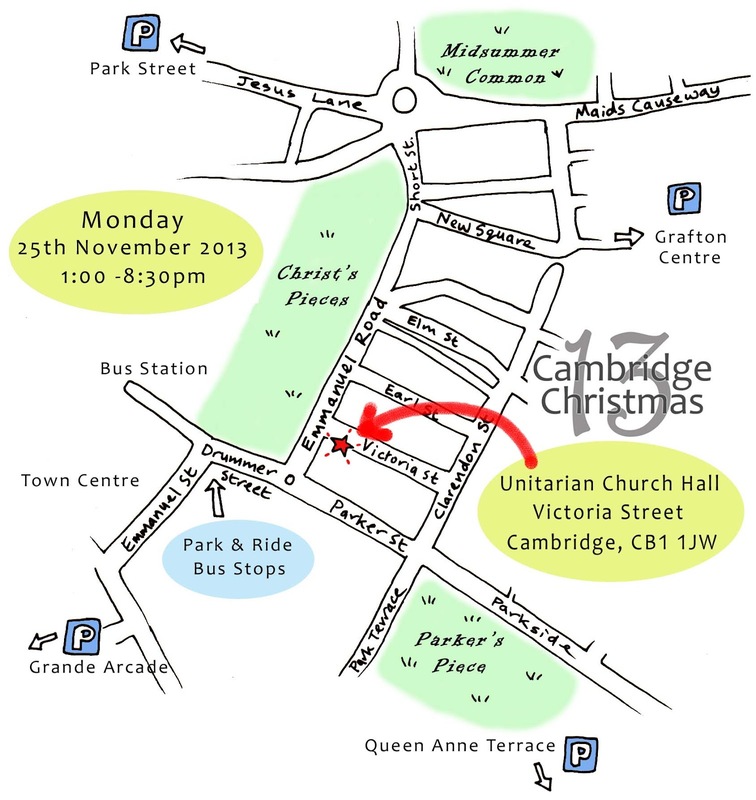 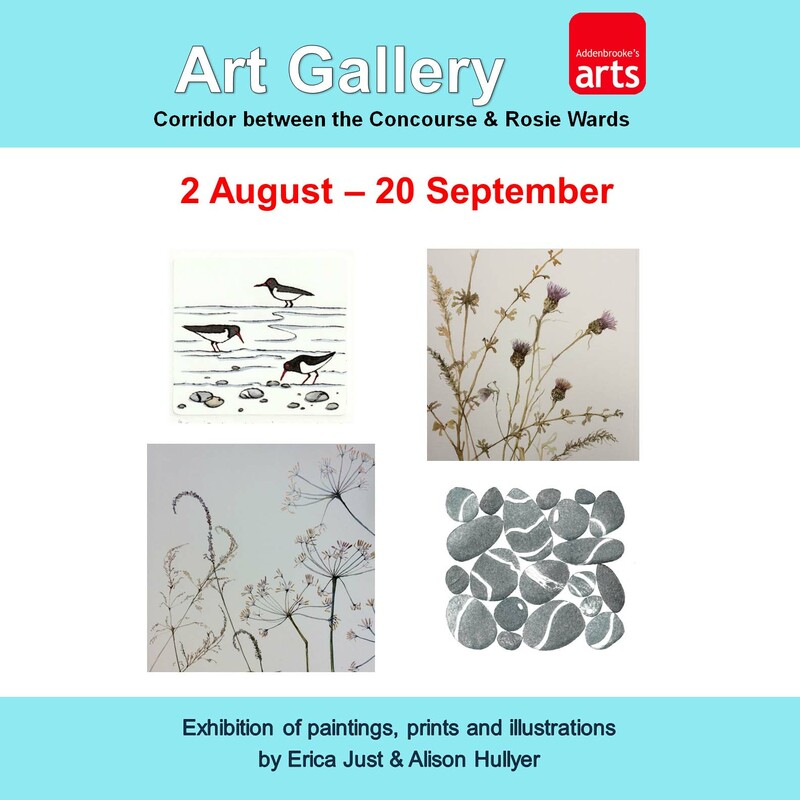 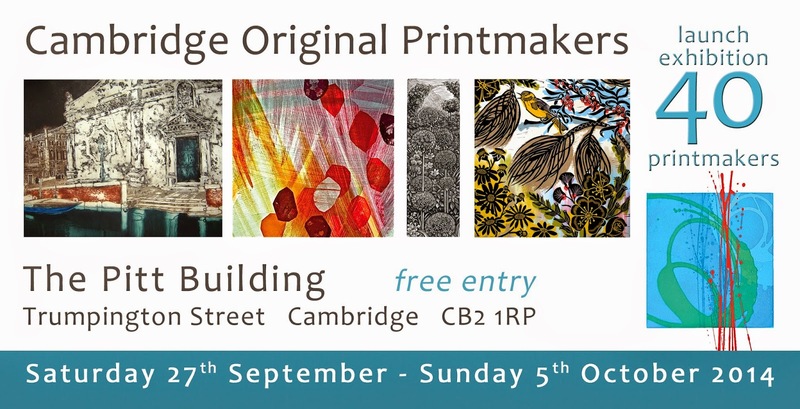 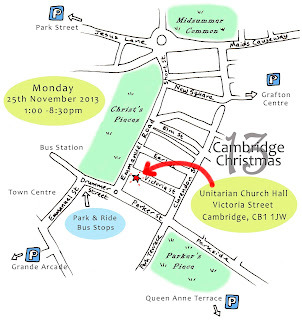 I have taken part every year since 1995.
as part of Cambridge Open Studios. 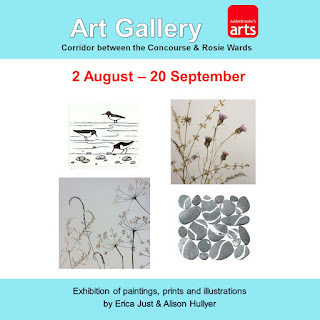 I have taken part every year since 1995 and will have lots of new work to show you. 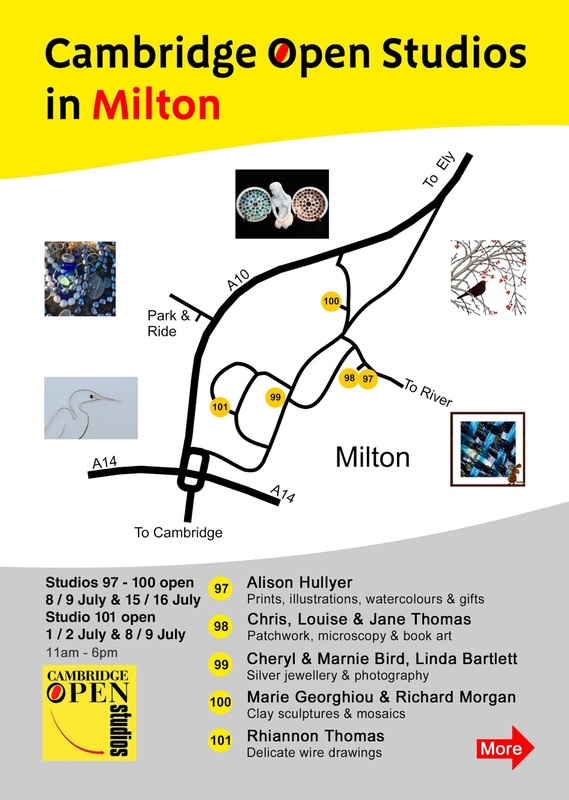 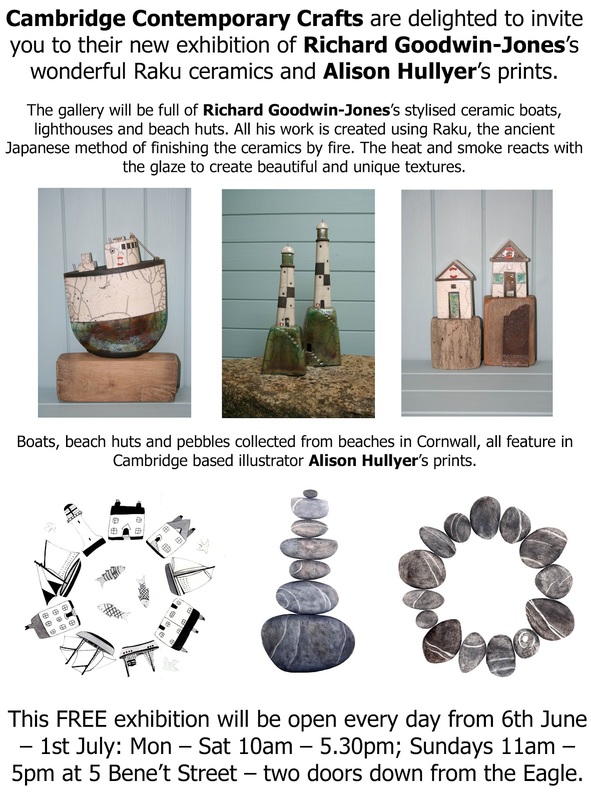 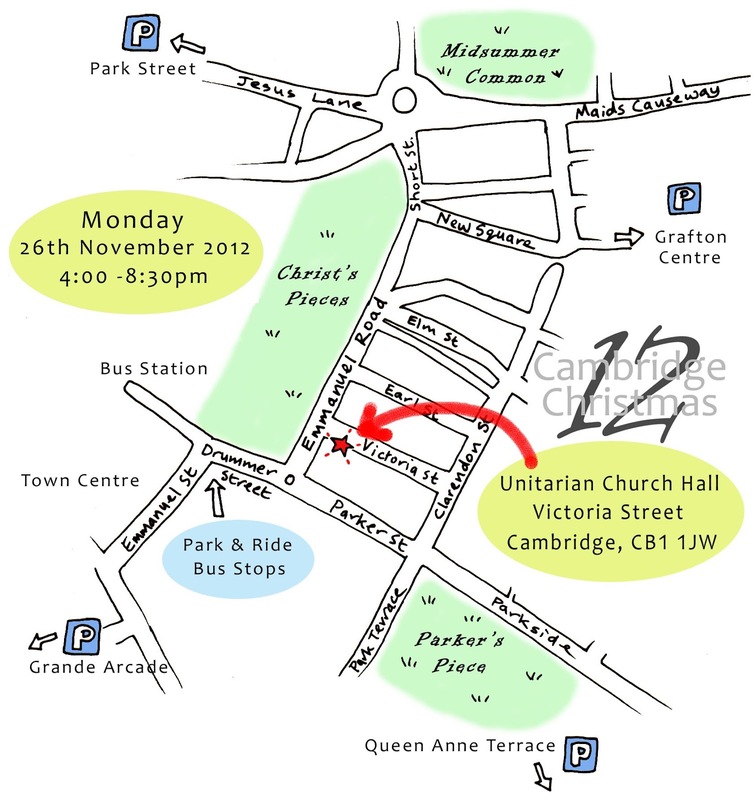 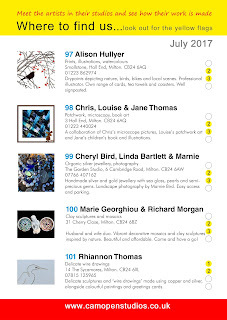 This show at Cambridge Contemporary Crafts runs until 1st July 2012. The 2011 event is now over. 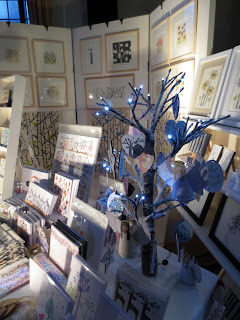 It was very successful, with nearly 600 visitors. 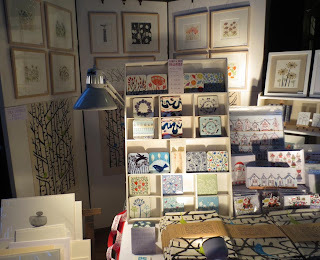 I sold out of my Christmas cards and almost all of my coasters. 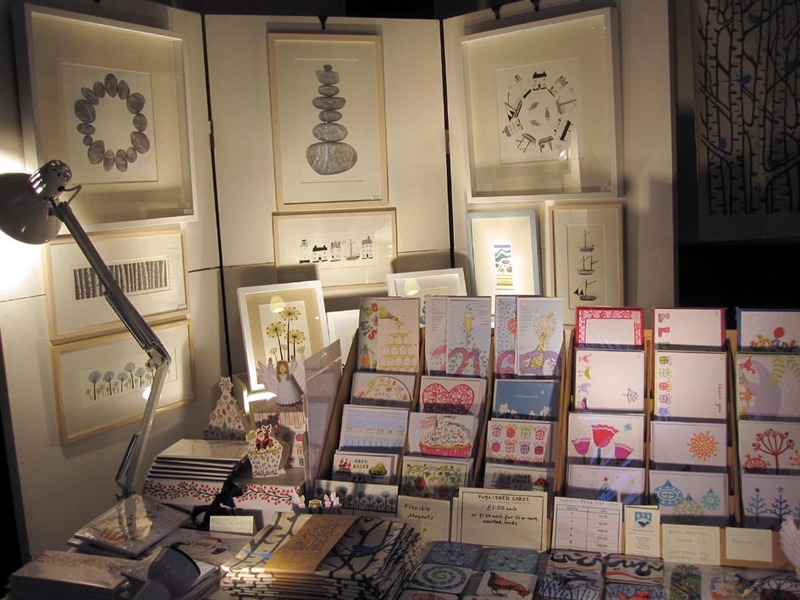 My new tea towels went down very well and I also sold several prints. 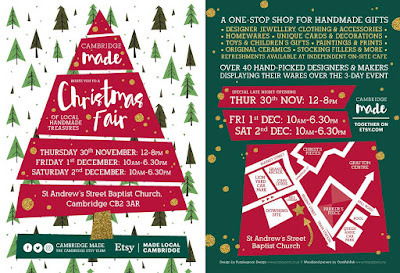 Looking forward to doing it all again in 2012.